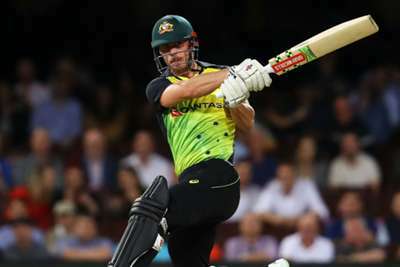 Chris Lynn guided Kolkata Knight Riders to a six-wicket success as Jos Buttler's Rajasthan Royals fell short in Tuesday's crunch Indian Premier League encounter. These sides came into the meeting at Eden Gardens as part of a five-way race to claim the two remaining play-off spots behind Sunrisers Hyderabad and Chennai Super Kings. Buttler was celebrating his recall to the England Test set-up and looked on course to make an IPL-record sixth straight half-century before he fell for 39 from 22 balls. From 63-0, the Royals crumbled to 107-7 and eventually limped to 142 all out as Kuldeep Yadav (4-20) produced his best IPL figures, and Lynn's 45 from 42 atop the order then underpinned KKR's chase - the target reached with two overs to spare. Kolkata move onto 14 points with one match remaining, while after their penultimate fixture Rajasthan remain on 12, level with Kings XI Punjab and two clear of Mumbai Indians and Royal Challengers Bangalore - all of whom have two to play. After just three runs from the first eight balls, Buttler and opening partner Rahul Tripathi (27 off 15) went berserk, striking all of the next 10 deliveries for four or six between them. Tripathi tucked into Prasidh Krishna, going 6-4-4-4, before Buttler took over in clubbing 28 runs from Shivam Mavi's over to race to 30 from only 11. Sunil Narine and Andre Russell applied the brakes, however, the latter ousting Tripathi before Kuldeep played his starring hand. The left-arm chinaman castled Ajinkya Rahane as he attempted a reverse sweep, before claiming the big wicket of Buttler, caught at short third-man trying a similar stroke. Stuart Binny (1) was next, stumped having been bamboozled by a googly, before Ben Stokes (11) chipped a tame return catch to ensure Kuldeep claimed a wicket in each of his four overs, bowled on the reel. Amid the chaos, Narine and Mavi picked up Sanju Samson (12) and Krishnappa Gowtham (3) respectively as Rajasthan lost seven wickets for 44 to hand the Knight Riders the initiative. Continuing his role as a pinch-hitting opener, Narine took the fight to Gowtham, smashing 20 from the first four balls of the chase. He fell for 21 in the next over to the impressive Stokes, who went on to claim 3-15 including a maiden, while Ish Sodhi also did his bit with a tidy 1-21. The Knight Riders always looked to have enough in reserve, however, and even though Lynn compiled a more circumspect knock than usual before falling to Stokes, Dinesh Karthik (41 not out) and Russell (20no) finished the job. 10:03 PFA Premier League Team of the Year: Is Pogba worthy of a place? 19:33 Ronaldo, Messi, Mbappe? Who is Europe´s most prolific young goalscorer? 17:24 NFL Draft 2019: How does Kyler Murray compare to QBs taken first overall? 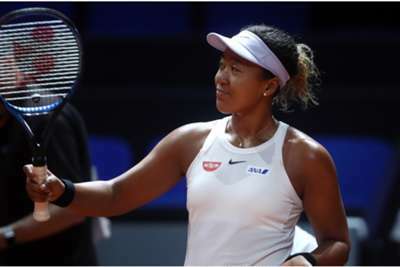 Petra Kvitova will not be able to dethrone Naomi Osaka this week after the two-time grand slam champion won her opener in Stuttgart.